Vinyl siding only requires a good wash and some light scrubbing. Washing it while there’s some frost on the ground may result in slight frost formation on the siding surface. If this the case, wait until everything is fully thawed. The runoff from the wash may also freeze on the ground, which could damage the landscaping. To make your vinyl siding cleaning solution, simply mix a quarter cup of dish soap for every four gallons of water. Start by hosing off an area at the time to remove loose dirt and debris. Avoid getting water under the siding by hosing downwards, perpendicular to the face of the siding. Your vinyl siding would be mostly clean at this point, but you should still scrub those tight spots. Wet your brush in the cleaning solution and scrub the remaining dirty areas. Rinse using a hose. Make sure you wipe the water off the glass panels on the entry doors and windows to avoid water spots. Once you’ve cleaned your siding, inspect it for signs of mold and mildew, as well as stubborn stains. Mold and mildew can be cleaned using off-the-shelf window cleaning solutions, or you can use a mixture of 30% white vinegar and 70% water. Vinyl siding usually comes in molded-in colors, but certain products may have factory-applied finishes. Using a power washer on vinyl siding can strip it of its outer coating. This kind of damage won’t likely be covered by the warranty, so to be on the safe side, just clean your vinyl siding as we described above. Looking for siding and roofing contractors? 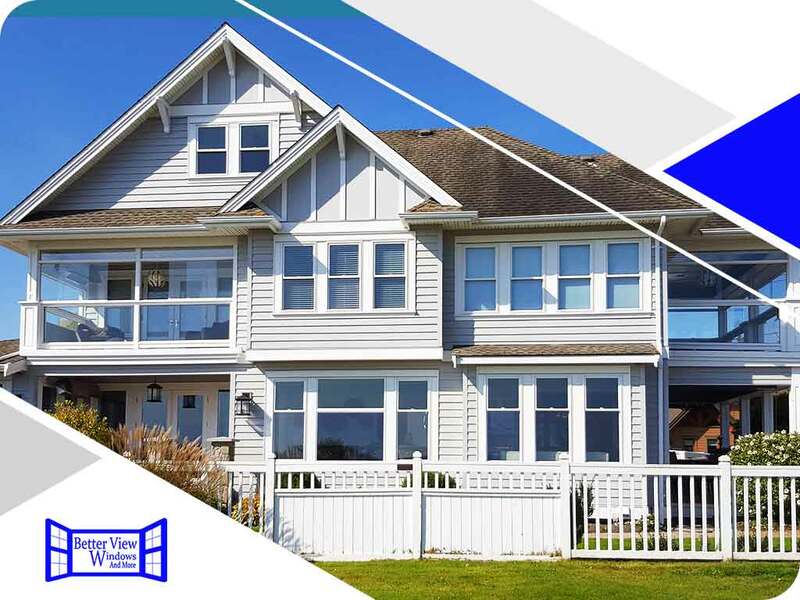 Better View Windows and More is your leading provider of roofing, siding and replacement windows. Give us a call at (757) 655-3017 or fill out our contact form. We serve clients in Norfolk and Virginia Beach, CA.